Music has been considered a universal language with much of its makeup based in math while at the same time having the ability to evoke a wide range of individual emotions based on style and the person playing. Music of all types is made up of individual notes which display four main properties. Notes are assigned one of seven letters ranging from A through G. Typically a musician uses middle C as a reference for all other notes available on an instrument. From middle C, the notes progress in alphabetical order until G, after which the notes go back to A and continue progressing to G. This sequence continues all the way up the scale, or reverse when heading down the scale. Pitch is another property of a musical note. Pitch consists of a perceived frequency of sound. The higher you progress up a scale, the faster the frequency vibrates, and the higher the pitch of the note becomes. The lower you progress down the scale, the slower the frequency vibrates, resulting in a lower sounding pitch. The length of the note is a property that contributes to rhythm. 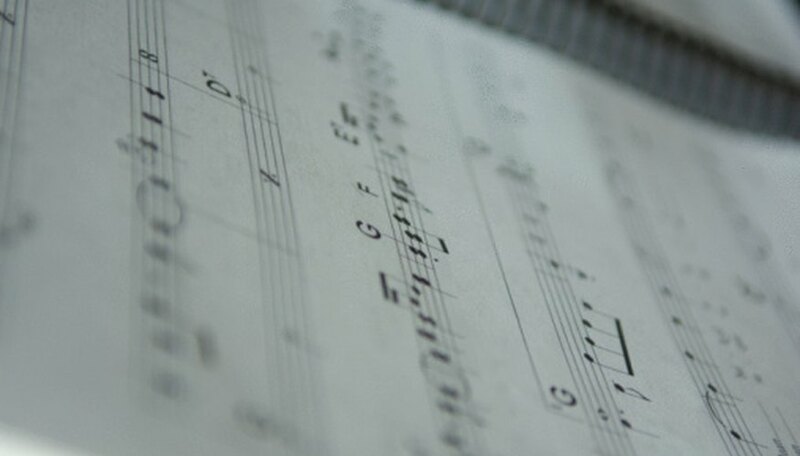 The most common lengths for notes are whole, half, quarter, eight and sixteenth notes, which are held for varying amounts of time depending on the time signature of a piece of music. Shorter notes are defined by how short they are compared to a whole note. Lengths can be extremely long through the use of ties, or can be as short as a thirty-second note or less. Notes can also contribute different properties based on dynamics. Dynamics measure how loud or soft a note is played. The most common dynamics for a note range from soft or "piano" referred to by the letter "p," to loud or "forte" portrayed by the letter "f." The most common dynamics are piano "p," mezzo piano "mp," mezzo forte "mf," and forte "f." Dynamics can be louder or softer than these with the softest being pianississimo "ppp," and the loudest note being fortississimo "fff." What Are the Degrees of Loudness and Softness in Music Called?